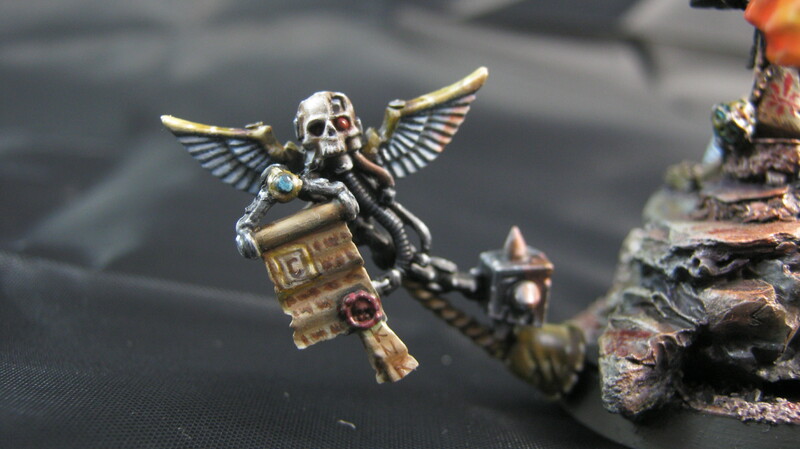 Saint Celestine: really enjoyable miniature to paint – except for the little bastards holding the cloak up. Nightmare. I wanted to change the concept of this a bit: it’s usually made to look very pretty, effete and slightly old – I wanted to make Celestine look much more formidable, younger, and more warlike. I couldn’t get the sword right, and the brightness of the flames affect the camera a bit, making it look brighter than it really is. Really, the flaming sword would probably illuminate the entire aspect; but I tried to keep the lighting effect minimal so that it wouldn’t overpower the figure. 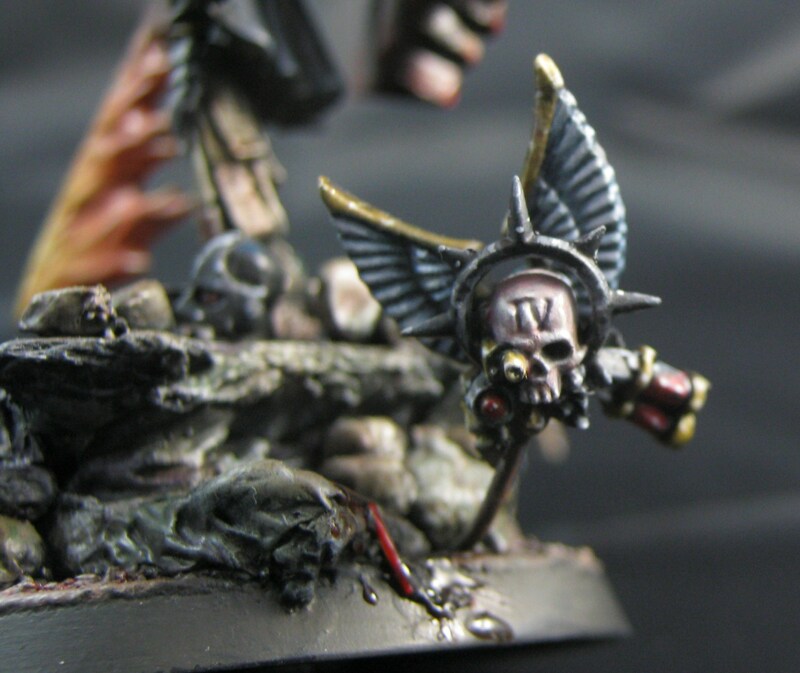 The two flying skulls were intended to enhance the weirdness of the Witch Hunter army. Still can’t get non-metallic metals right, but certainly better than my previous attempts. 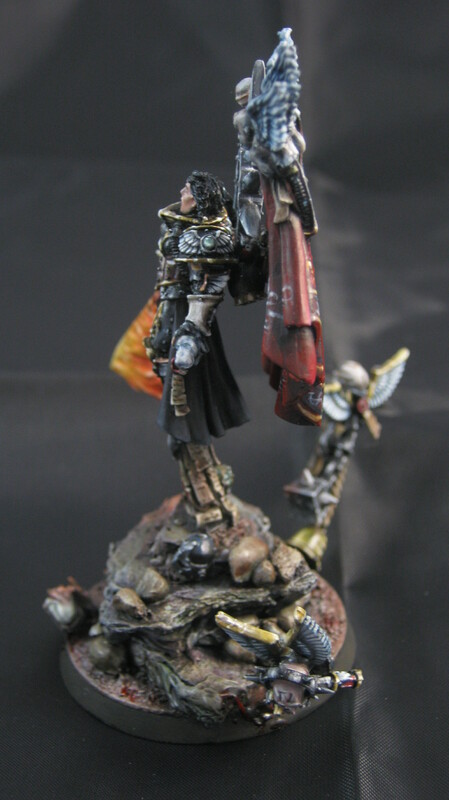 Posted in Warhammer 40 000, Witch Hunters and tagged Saint Celestine. Bookmark the permalink.